If you like science fiction, dice rolling and confrontational games, this will be something for you. 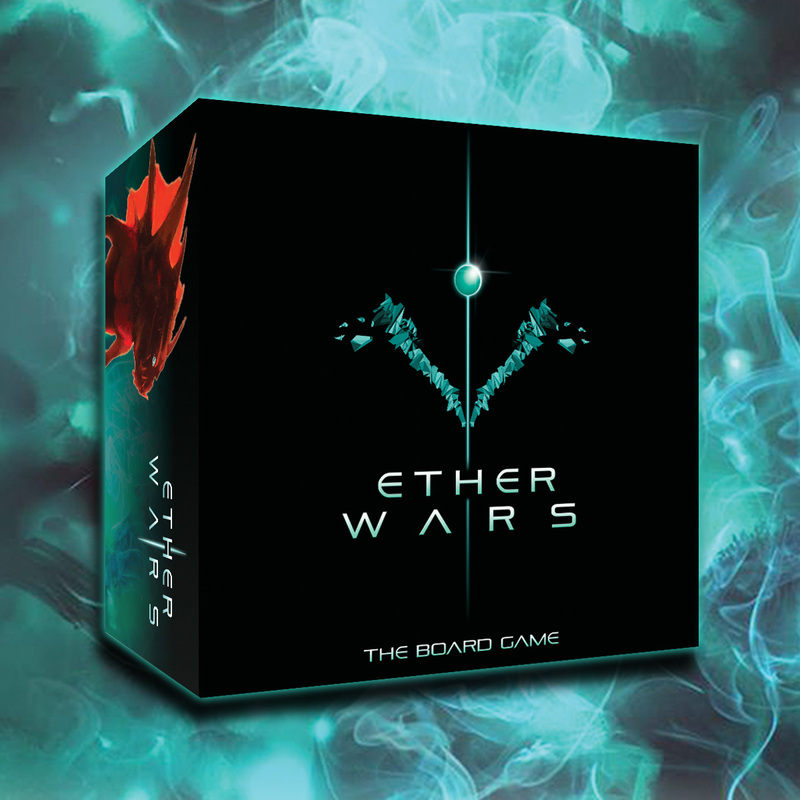 Ether Wars is a tactical games that takes several elements from other games and mixes them together nicely in a simple yet deep package. The game is all about gathering Ether (a very precious resources). Whoever gathers enough first wins the game. You gather it by placing your dice (representing your units) on the different zones of the planet, but you’ll first have to fight all others players units there, so it won’t be easy at all. You’ll need to manage resources to get more units, and to prevent them from getting killed. You even have to get resources to tactically move your units. The thing is you don’t roll your dice before placing them, so you don’t know the exact outcome before after everyone has placed their units. The rolls of your units will determine your strength for fighting opposing units in the same zone and for extracting materials. I would suspect as you get better at the game you can figure out what your opponents needs the most and place your units where it hurts them the most and benefits you. Ether Wars claims to have taken elements from the computer game genres RTS (Real-Time Strategy) and MOBA (Multiplayer Online Battle Arena), and merged them with board game mechanics they enjoy, to create something new and different. I don’t know how evident MOBA and RTS is in the game, but you can definitely see signs of it, and it’s definitely different from anything out there. This games seems deep and very tactical, it’s definitely not a game for people new to the hobby, but if you know your way around board games and like science fiction and RTS games this might a perfect match for you. 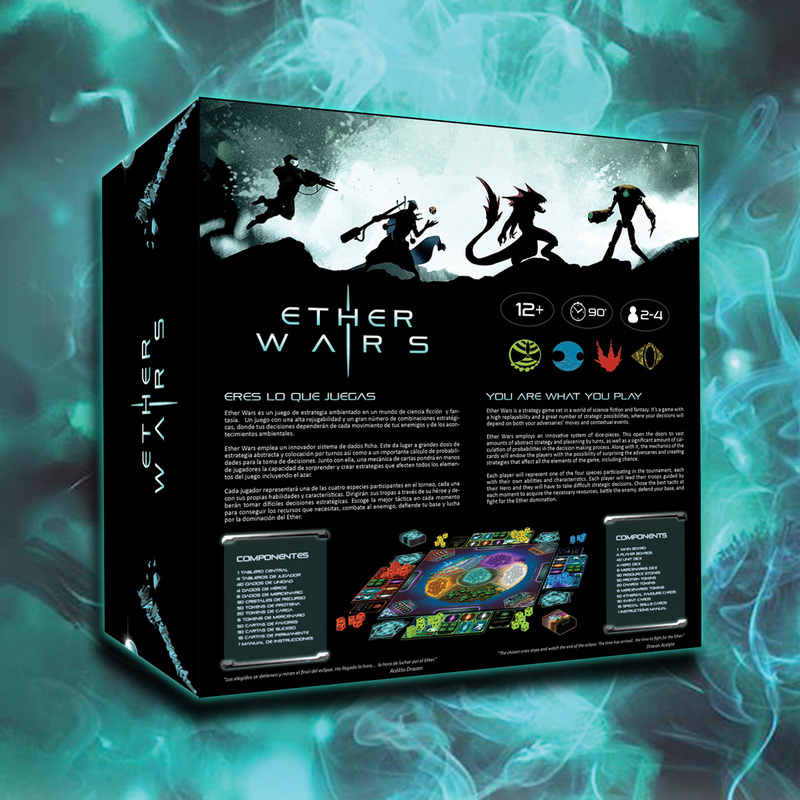 Ether Wars is currently on Kickstarter until the 29th of June 2015.